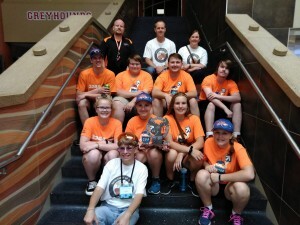 On July 20-21st the Gearheads competed at the Gitchi Gummi Get Together, in Duluth. This competition is designed to give team members a chance to try new roles on the team. This competition requires each team to have 3 different drive teams. 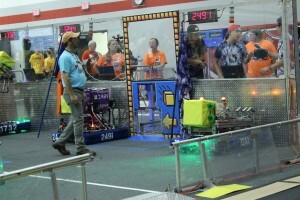 The Gearhead used this competition to train in 2 new drivers, Natalie and Hannah, and 2 new human players, Erin and Kaylin. We think that we did pretty well. After a slow start, we ended up ranked 6th after qualification rounds and were picked to be a part of the 2nd place alliance. 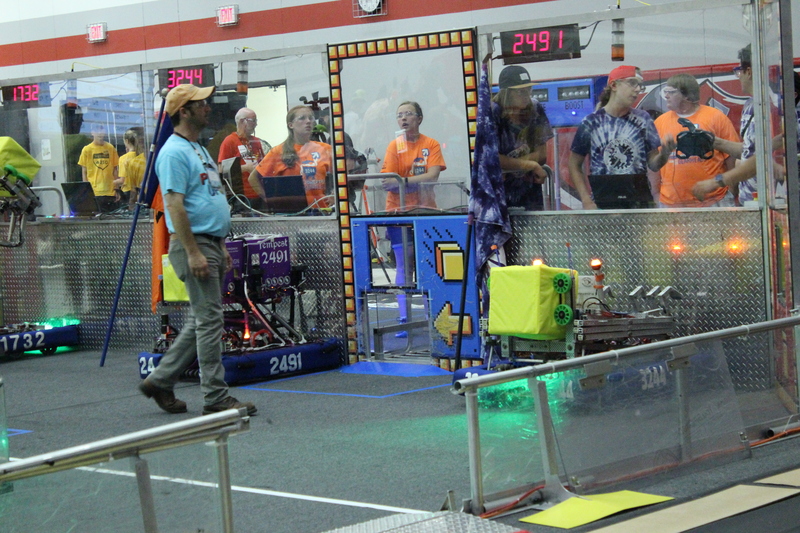 Our alliance took 3rd place overall. A few of our mentors also took advantage of the opportunity to volunteer at the event. the team with our 3rd place trophy. 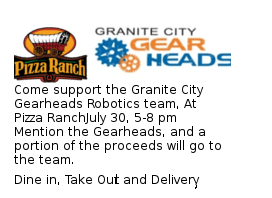 We also wanted to remind people that the Gearheads will be having a fundraiser at Pizza Ranch next Monday, July 30, from 5-8. Mention the Gearheads and a portion of the proceeds will go to the team. We are still trying to rebuild our bank account after having the extra expenses of our trip to Championships in April. 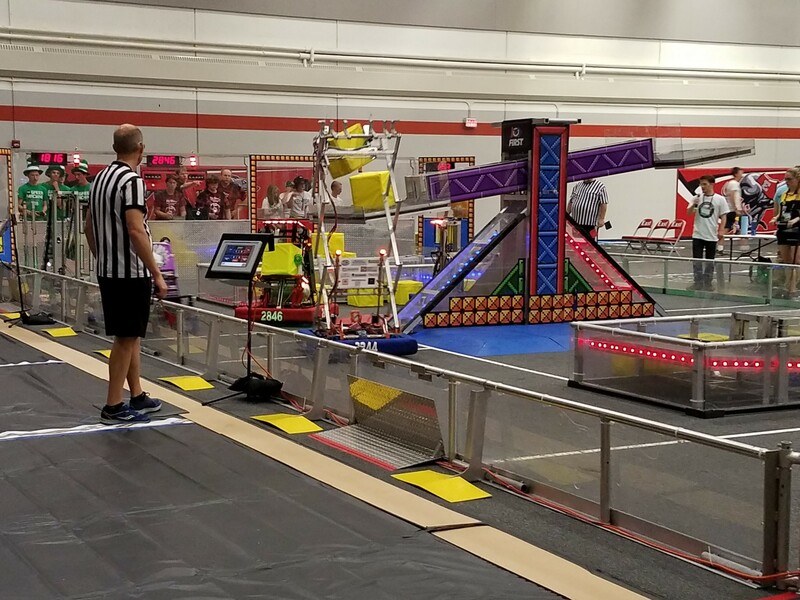 Our competition robot will be at the fundraiser, come see Super Sir Antsabot!